Financial Readiness equals Military Readiness and whether you are a civilian or a service member, one of the top financial mistakes most Americans make has to do with how they buy their vehicles. But if you’re smart, you can avoid this mistake and eventually drive your cars for free. Our Heroes at Home Financial Event just completed a tour where we gave 27 presentations at 17 bases in 4 countries. In fact, you can contact us about whether we are coming to YOUR base later this year. 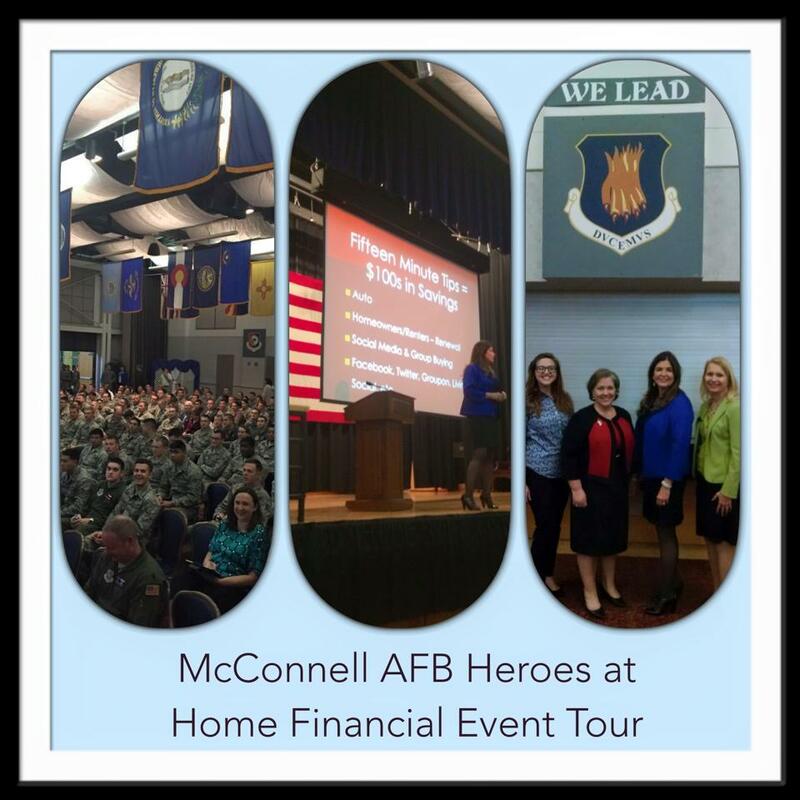 McConnell AFB Heroes at Home Financial Event. One of the main topics that is: What is the smart way to buy a vehicle? Let me start by asking you the question we ask our audiences: How do you lose around $8000 in 8 seconds? Did you get the answer yet? The answer is: you drive your brand new car off the lot. 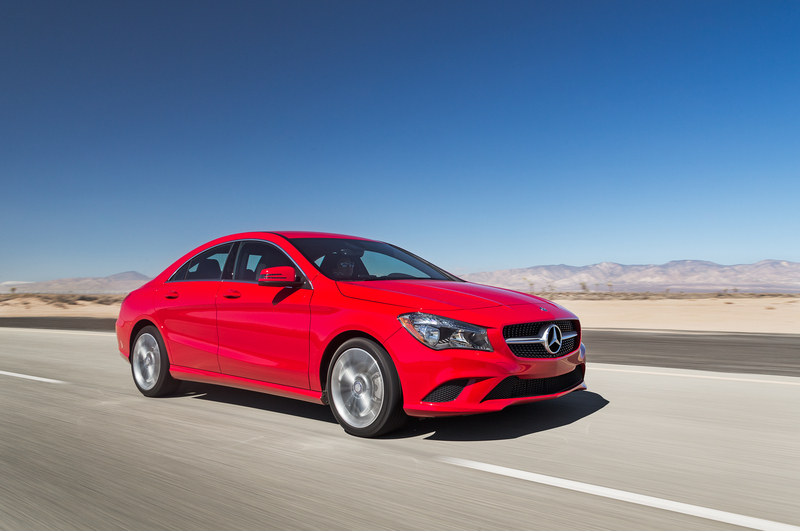 Yes, the average new vehicle will depreciate $8000 in the first year. Since most folks finance that new vehicle, it’s more like losing $10,000 in 8 seconds! So WHY oh WHY do you continue to buy NEW? Warranty Purchase – you could purchase an extended warranty, which (depending on the car you drive) is only $800 to $1500 per year. This is WAY LESS than the 8K–10K you are losing by buying new. Plus warranties are negotiable. When I had to renew the warranty on my Mercedes 280SLK, the dealership gave me their best price. Then I called USAA, telling them the best quote I got and they beat the price by $800. Plus, instead of the $200 deductible I had with the other quote, the USAA deductible was $0! I used that warranty at my local Mercedes dealership (world’s best service department) and paid $0 deducible and got the same excellent service that I normally get. CPO or Certified Previously Owned – If you get a vehicle with a CPO on it, then part of the deal is that the dealership extends the warranty a year and this is a full manufacturer’s warranty. Plus, there are more stringent inspection standards and additional roadside assistance. Once, I had a shady salesperson who told me the car was CPO, “All our cars are CPO” she said, but she never presented me with CPO paperwork to sign at the deal’s closing. You guessed it, the vehicle was NOT CPO and she lied. Be sure you get CPO paperwork if you are told it is a genuine CPO. It costs the dealership anywhere from $800 to $2500 to CPO your vehicle, depending on the year, make and model. You HAVE TO sign CPO paperwork that is dated from BEFORE the date you buy the car or it’s not valid. Remember that asking a dealer to make a vehicle CPO is part of the negotiating process and this will increase the value of the deal anywhere from $1000 to $2500. A couple years ago, I was on my way to Disneyland to meet another author friend and a careless driver made an unprotected left hand turn right into my vehicle (about 5 feet off the bumper). I had NO TIME to react or even take my foot off the brake. The fact that Mercedes are so well built and the fact God sent his angels to protect me are the only reasons I walked away from this terrible crash with only a few cuts and bruises. This accident put me back in the market for a vehicle. So this time I decided to try USAA’s car buying service. Since we had an extra car at home, I could take my time to find the best deal. The car buying service told me the price, the discount, gave me free access to a CarFax report, showed me a chart of similar cars purchased in my area to indicate an average, good, or great deal, and more. I compared the prices I saw on the site to Kelley Blue Book and did all my research. Then I followed the same three steps we teach in our Heroes at Home Financial Events. Negotiate the price of the car at a dealership apart from the value of the trade-in. Tell the salesperson you want to determine the price of the car without the trade-in. The reason you want to do this is because salespeople will often give you far more for your trade than you expected—thus hooking you on the deal. However, this higher-value-for-the-trade-in shtick can be part of the technique they use to get you to purchase the car. If a higher value is given to the trade, then they will give a lower discount on the price of the vehicle, because all the discounting went into the value of the trade. Now that you’ve determined the price of the car, ask what the dealer will give you for your trade-in. Most likely, you will get more for your car if you sell it yourself. A little elbow grease and some top-notch detailing can net you hundreds of dollars more than a dealer can give you, if you can find a buyer. Some people (like military families) don’t always have the time to sell their car because of moving schedules and so forth. So if you are going to try to trade in your car, look up the value of your existing car at Kelley Blue Book or Edmunds, then print the page (or screen shot it), and bring it with you to the car lot to negotiate the price. Bottom line: try your best to gather enough facts beforehand so that you make a wise decision. The F&I (finance and insurance office) is where the lion’s share of a dealership’s profit is made. In this office, you will have to navigate interest rates, payments, terms, additional services, and warranties. Unless you put miles on your car for business or you are purchasing a car that will cost a lot to repair (and you intend to keep it longer than the warranty lasts), extended warranties are usually not a good value. When it comes to vehicle financing, you can generally do better on interest by selecting your own creditor unless the manufacturer is offering a lower APR. Keep in mind that the .99% APR offers only go to the top 10% of those who are the FICO score elite, chances are good that you will not qualify. The credit life insurance that dealers offer is more expensive than raising your regular insurance premium by twenty thousand dollars to cover this expense. And don’t forget to research the price of insurance on your new car so you can afford both the payment and the insurance. Negotiate the best price on the vehicle. Get the USAA discount added to the deal. Get a car that had less than 3K miles on it. Get CPO added to my vehicle. Drive a vehicle that is now under warranty until 2022. Get a like-new car that had only been in service officially for a mere three months. Save $9K off the brand-new-plus-CPO price. Pay cash for my car (stay tuned for next week’s blog on how to pay cash for cars). Get the year, make, model and color of the car I wanted. Walk away feeling good about the deal and the value I got. When are you in the market to get a vehicle, which of these tips will you follow to get the best deal? In honor of military appreciation month, I’d like to highlight our Army son, Joshua. When he was born we started saying, “If he had been our first, he would have been our last.” That little boy had more energy and could get into more scrapes than all our other children combined. When he was eighteen months old, he stripped down to his diaper, took a plastic sword and chased his four older siblings around the house, thus earning the nickname “Conan, the baby barbarian.” By that age, he had also jumped off the top bunkbed (three stitches) and “flown” off our travel trailer (four stitches). Joshua was the reason we purchased a serious first aid kit. He’s now an Army Lt jumping out of airplanes at Fort Benning. Just as every family needs a good first aid kit for those unexpected accidents, they also need a financial first aid kit, or practical ways to help safeguard their financial future. An Emergency Savings Account – This account is not an investment account, it doesn’t include IRAs, retirement accounts or CDs. Its purpose is not growth, but safety. These are funds that are accessed in the event of spouse unemployment, emergency home repairs, or unexpected auto repair bills. The best way to build this account is to establish a family budget. Go to your base’s Family Readiness Center to develop a budget for your current season of life. I recommend automatically transferring funds from a paycheck or checking account into a savings account every week. A good guideline is to save three months of living expenses for dual income households or six months for a single income family. A Will –Here’s another easy one, that’s as easy as making an appointment with the JAG or taking advantage of mobile services that are sometimes offered at military conferences such as Yellow Ribbon. The main section of this critical document will assign a guardian for your children. In many states, the surviving spouse may only get one-third to one-half of the assets that were in your sole name. Your children get the rest and if they are minors, a court administrator could handle their money until they become adults. Make sure that the beneficiary designations on any 401(k) plans, IRAs, life insurance and bank accounts are also up to date. Another option is legal zoom, which can prepare a quick will at a low cost. A Retirement Account –A surprising number of military spouses, or reservists do not take advantage of the terrific tax-deferred accounts offered by their employer, which include 401(k) plans. The Thrift Savings Plan (TSP) is a Federal Government-sponsored retirement savings and investment plan and has great rates with low fees for administering the account It’s part of the new Blended Retirement System that is currently in place. This plan offers the similar tax benefits that many private corporations offer their employees under 401(k) plans and they are full portable upon leaving the military. Be sure your current TSP funds are not in the “G” fund for maximum benefit. A Good Credit Rating – The best way to rebuild good FICO, or credit score, is found in three steps: pay more than your minimum payment (even if it’s only $5/month more), pay a day early rather than a day late (set up automatic transfers from your checking account to your credit card company for minimum payments) and never let your available credit fall to less than 30% of the total credit available (for example, $2000 on a $6000 credit line.) Each year, get a free copy of your credit report by going to Annual Credit Report or go into the base’s Family Support Center where they can also run a free copy of your report and check your score. A College Fund for Those Babies!–Select a college savings account that has low fees, a good selection of investments, plus a tax break. One of the many options is a Qualified State Tuition Plan, also known as 529 Plans. Be sure to research your state of record and their plans. These contributions will be tax-deferred and could even be tax-deductible from your state income tax if you are a resident of that state (check with your tax specialist). When the money is withdrawn for college, it is only taxed at the student’s income tax rate. If the child does not go to college, the money can be designated for another beneficiary or removed at a 10% penalty. If you’re a family with a “Conan,” then make sure you have a First Aid Kit on hand. But don’t forget the fact that your family need a Financial First Aid kit as well. I wanted to issue a special thank you to all our military families who serve, we appreciate you! Financial Readiness equals Military Readiness and whether you are a civilian or a service member, the number one financial mistake has to do with how you buy your vehicles. But if you’re smart, you can avoid this mistake and eventually drive your cars for free. Our Heroes at Home Financial Event is in the midst of a tour where we are giving 25 presentations at 17 bases in 4 countries. In fact, you can contact us about whether we are coming to YOUR base later this year. CPO or Certified Previously Owned – If you get a vehicle with a CPO on it, then part of the deal is that the dealership extends the warranty a year and this is a full manufacturer’s warranty. Plus, there are more stringent inspection standards and additional roadside assistance. Once, I had a BAD salesperson who told me the car was CPO, “All our cars are CPO” she said, but she never presented me with CPO paperwork to sign at the deal’s closing. You guessed it, the vehicle was NOT CPO and she lied. Be sure you get CPO paperwork if you are told it is a genuine CPO. It costs the dealership anywhere from $800 to $2500 to CPO your vehicle, depending on the year, make and model. You HAVE TO sign CPO paperwork that is dated from BEFORE the date you buy the car or it’s not valid. Remember that asking a dealer to make a vehicle CPO is part of the negotiating process and this will increase the value of the deal anywhere from $1000 to $2500. As we are on our Heroes at Home Financial Event tour (at 17 bases in 5 countries) we often talk about how to follow through on our good intentions when it comes to money matters. The best way to do this is to have a regular money workout with an accountability partner. A great example of this is these Newlyweds, who just finished their first Sixty Minute Money Workout and they loved it! They did the “Money Personality” workout and discovered what personality each of them has and how they relate to money. The number one reason marriages fail is because of arguments about money so if you can learn how to have a good workout, then you can get fiscally fit. You don’t have to be married either, you can have a “money buddy” just as you have a workout partner to help spot you when it comes to lifting weights or kicking it in cross fit. But it begins with setting proper boundaries, so you can learn to get along and not digress into arguments. This is the same technique I shared on Nightline as I coached a couple on how to fight fair. Here is where you set your timer for each section. When the timer goes off, then move on! In this section, you set the topic for the hour and begin with a “can do” attitude. It’s important to begin by saying or doing something positive. If you’re working out with a spouse, then begin by taking your spouses hands, looking into their eyes and saying something affirming. While step one was to start with affirming words and decide on your money topic, this next section is a time to write down goals on paper so that you will have a tangible and objective standard to work toward. Decide how you would like to see the topic resolved today, in six months and what the outcome of your goals will be in the long run. For example, if your topic is setting up a spend plan, you can also access tools like Mint that will help you in the workout. Discuss obstacles that have kept you from reaching your goals in the past. If spending too much money on Amazon is slipping you up, then regulate that habit. Or if eating out too often gets you offline, then discuss ways to eliminate that obstacle. In this step, you give feet to your goals. If you’re setting up a budget, then you write down the specifics and course of action for your topic of the day. This may not seem like a lot of time on this section, but realize that you may not get it resolved during the first workout. The key is to keep the discussion moving and work on what you can, whatever you missed, you can get the next time around. For example, if you’re looking to pay down debt, then go to Annual Credit Report to order free copies of your credit report. If your topic is improving your credit score, then go to Credit.com to discover where your score is weak and how to improve it. Or listen to a Periscope #CreditChat from@Experian_US. This show is hosted by Rod Griffin, our credit speaker on the Heroes at Home Financial Event tour. If you are making progress on your goal, then continue to do the work. If you have gotten bogged down or you’ve reached a standstill, then use this time to redirect. For example, if you’re developing a spend plan, and realize you are spending too much in an area, then you could redirect at this time to review this blog and learn quick ways that will help you save money in a variety of categories. For instance, how to save on groceries. We’ve saved over $160,000 in the last 20 years by employing a variety of tips I discuss in my books and blog. The workout has gone by quickly and now the last 5 minutes are dedicated to the “Congratulations Cool Down.” End your workout and sit back, grab a glass of something cool to drink and reflect on all you’ve accomplished in just one hour! You started on a positive note and you’re going to end positive as well. Take this time to tell your partner one thing that you appreciate about today’s workout in order to end the discussion well. Keep in mind that just as you don’t get physically buff in just one workout, your finances aren’t going to get in shape after the first try either. But after you and your mate have exercised with this money workout a half a dozen times you’ll find you are making progress that can revolutionize your finances in only an hour a week! For a free “Sixty Money Workout” review sheet, just email assistant@elliekay.com and ask for this resource. Our Heroes at Home Financial Event just finished our FY15 tour where we gave 10 presentations at six bases and we’re gearing up for FY16. In fact, you can contact us about whether we are coming to YOUR base next year. McConnell AFB Heroes at Home Financial Eventnext! Our non-profit tour is brought to military families by USAA and one of the main topics that is of the most interest to our military families is: HOW DO I BUY A CAR and save money? Warranty Purchase – you could purchase an extended warranty, which (depending on the car you drive) is only $800 to $1500 per year. This is WAY LESS than the 8K you are losing by buying new. Plus warranties are negotiable. When I had to renew the warranty on my Mercedes 280SLK, the dealership gave me their best price. Then I called USAA, telling them the best quote I got and they beat the price by $800. Plus, instead of the $200 deductible I had with the other quote, the USAA deductible was $0! I used that warranty at my local Mercedes dealership (world’s best service department) and paid $0 deducible and got the same excellent service that I normally get. CPO or Certified Previously Owned – If you get a vehicle with a CPO on it, then part of the deal is that the dealership extends the warranty a year and this is a full manufacturer’s warranty. Plus, there are more stringent inspection standards and additional roadside assistance. Once, I had a BAD salesperson who told me the car was CPO, “All our cars are CPO” she said, but she never presented me with CPO paperwork to sign at the deal’s closing. You guessed it, the vehicle was NOT CPO and she lied. Be sure you get CPO paperwork if you are told it is a genuine CPO. It costs the dealership anywhere from $1000 to $2500 to CPO your vehicle, depending on the year, make and model. You HAVE TO sign CPO paperwork that is dated from BEFORE the date you buy the car or it’s not valid. Remember that asking a dealer to make a vehicle CPO is part of the negotiating process and this will increase the value of the deal anywhere from $1000 to $2500. A few months ago, I was on my way to Disneyland to meet another author friend and a careless driver made an unprotected left hand turn right into my vehicle (about 5 feet off the bumper). I had NO TIME to react or even take my foot off the brake. The fact that Mercedes are so well built and the fact God sent his angels to protect me are the only reasons I walked away from this terrible crash with only a few cuts and bruises. This accident put me back in the market for a vehicle. So this time I decided to try USAA’s car buying service. Since I’m driving my Marine’s car (who is overseas) for a few months, I could take my time to find the best deal. The car buying service told me the price, the discount, gave me free access to a CarFax report, showed me a chart of similar cars purchased in my area to indicate an average, good, or great deal, and more. I compared the prices I saw on the site to Kelley Blue Book and did all my research. Then I followed the same three steps we teach in our Heroes at Home Financial Events. Now that you’ve determined the price of the car, ask what the dealer will give you for your trade-in. Most likely, you will get more for your car if you sell it yourself. A little elbow grease and some top-notch detailing can net you hundreds of dollars more than a dealer can give you, if you can find a buyer. Some people (like military families) don’t always have the time to sell their car because of mobbing schedules and so forth. So if you are going to try to trade in your car, look up the value of your existing car at Kelley Blue Book or Edmunds, then print the page (or screen shot it), and bring it with you to the car lot to negotiate the price. Bottom line: try your best to gather enough facts so that you make a wise decision. The F&I (finance and insurance office) is where the lion’s share of a dealerships profit is made. In this office, you will have to navigate interest rates, payments, terms, additional services, and warranties. Unless you put miles on your car for business or you are purchasing a car that will cost a lot to repair (and you intend to keep it longer than the warranty lasts), extended warranties are usually not a good value. When it comes to vehicle financing, you can generally do better on interest by selecting your own creditor unless the manufacturer is offering a lower APR. Keep in mind that the .99% APR offers only go to the top 10% of those who are the FICO score elite, chances are good that you will not qualify. The credit life insurance that dealers offer is more expensive than raising your regular insurance premium by twenty thousand dollars to cover this expense. And don’t forget to go to USAA to see if you qualify for great insurance at a great price. Do you have your money matters in order for your next deployment? It’s important to make sure that all aspects of your finances are lined up to be able to give your family and yourself peace of mind while you are deployed. This is the final part of a continuing series. The items on the checklists from last week and from this week will make all the difference in minimizing stress not only for yourself, but for your loved ones as well. A servicemember’s protections under the SCRA are not automatic and require that the servicemember requests the protections such as limitation on interest rates, and payment schedules. You will likely have to prove you’re your military service may make an impact on your ability to pay. All interest rates can be reduced to 6 percent for accounts established before active duty and can include mortgages, car loans, credit cards and even some student loans. This only applies to loans before you became an active duty servicemember, it does not include loans you received after becoming a servicemember. The SCRA also protects from foreclosures and repossessions and helps with termination of residential leases and auto leases. These are before military service or if you receive PCS orders from CONUS to OCONUS or a deployment for a minimum of 90 days. Never use PAYDAY LOANS to supplement your savings because in these you pay 200% to 500%. Instead, go to PentagonFoundation.org for a $500 loan with a $3 service charge and no interest for one month. It’s called the ARK (Asset Recovery Kit) program. The Savings Deposit Program – SDP – While deployed and after 30 days in a combat zone, service members may be eligible to participate in the Savings Deposit Program (SDP). The program is available to service members during assignments and deployments to specified locations. The SDP pays back a guaranteed 10 percent annual return on investment (2.5.percent.quarterly) on up to $10,000 contributed from un-allotted current pay and allowances. Upon withdrawal, a service member’s contributions to SDP will not be taxed, but the interest earned will be. Interest continues 3 months after the servicemember is out of the zone. Cost – no cost while you are activeduty. But during retirement there’s a monthly deduction which can be no more than 6.5 percent of your gross retired pay. Beneficiaries – spouse, legal child, former spouse (if court ordered), the child must be under 18, if over 18, then in college (up to 22). SGLI is a low-cost term life insurance protection policy offered through the Department of Veterans Affairs (VA) for servicemembers on active duty. Even though SGLI coverage is automatic, before servicemembers deploy, they should confirm that their beneficiary(ies) designation is up to date. Servicemembers are automatically covered for the maximum amount of $400,000 unless coverage is declined or elected at a lower amount and this costs $26/month plus $1/month for traumatic for a total of $27. Family Servicemembers’ Group Life Insurance (FSGLI) automatically provides life insurance coverage to spouses and dependent children when the service member is covered by SGLI up to $100,000 for the spouse and $10,000 per child unless the servicemember declined the coverage in writing. Coverage amounts for FSGLI cannot exceed the coverage amount selected for the servicemember under SGLI. The cost is very affordable for the spouse such as $5/month for a female 35 or under and it is free for children under 18. Whether you are single or married, it’s important to check off the above items to make sure you and your family are financially ready for deployment. Thank you for your service please know that America appreciates both you and your family. What is the least expensive car to drive? The least expensive car for you to drive is probably the vehicle you are currently driving! So consider driving that paid-for car a little longer and take the money you would spend on a car payment and put it into a car fund in order to reach the goal of eventually paying cash for your cars. People talk themselves into a new car for a variety of reasons such as gas mileage. However, when you calculate gas mileage and the money “saved” when compared to interest payments and depreciation on that new car, you will find that you do not even come close to saving money. The average new car depreciates roughly 30 percent within the first eighteen months, with an average loss of value of five thousand dollars as soon as you drive it off the dealer lot. So if it really is time to replace your car, always consider purchasing a used vehicle first. However, there are occasions when a new car may make sense. For example, when interest rates are incredibly low or your family needs the warranty (because of high mileage commutes). Try to get and end-of-the-year clearance model or a demonstrator model. If possible, buy the car at the end of September, which is the end of their fiscal year. The following tips can apply to buying a new or used car, but each sales point should be negotiated separately. Now that you’ve determined the price of the car, ask what the dealer will give you for your trade-in. Most likely, you will get more for your car if you sell it yourself. A little elbow grease and some top-notch detailing can net you hundreds of dollars more than a dealer can give you, if you can find a buyer. Some people (like military families) don’t always have the time to sell their car because of mobbing schedules and so forth. So if you are going to try to trade in your car, look up the value of your existing car at http://www.Kbb.com/ or http://www.Edmunds.com/, print the page, and bring it with you to the car lot to negotiate the price. Consider negotiating the price and trading at the same time. Bottom line: try your best to gather enough facts so that you make a wise decision. Unfortunately, we often see the deal inaccurately as the smell of new leather and gleam of fresh paint job cloud our sensibilities. The finance and insurance office is where the lions share of a dealerships profit is made. In this office, you will have to navigate interest rates, payments, terms, and warranties. Unless you put miles on your car for business or you are purchasing a car that will cost a lot to repair (and you intend to keep it longer than the warranty lasts), extended warranties are usually not a good value. When it comes to vehicle financing, you can generally do better on interest by selecting your own creditor (unless, of course, the manufacturer is offering a lower APR). The credit life insurance that dealers offer is more expensive than raising your regular insurance premium by twenty thousand dollars to cover this expense. And don’t forget to go to USAA to see if you qualify for great insurance at a great price. We’ve been with this company for three decades! What is your favorite part of buying a car? When we were living at Columbus Air Force Base in Mississippi during the mid-1990s, I had to survive my share of “natural” disasters. They ranged from toddler Jonathan “naturally” trying to stick a knife in the toaster oven, to little girl Bethany going “au-natural” while guests were over, to a full-blown natural disaster in the form of a massive tornado. For the latter, it happened when the kids and I were all on the road. I remember nearing the exit of the base, when I saw a neighbor’s flag still up and decided to take it down for them. Low and behold, the tornado passed by us from the direction of the exit! Our guardian angels were definitely clocked in that day, but it reminded us to be better prepared for the next disaster. Stockpile supplies: You don’t have to be paranoid to be ready for an emergency. Stockpiling an adequate supply of non-perishable food and medications can be vital if you’re trapped for any length of time due to a hurricane, winter storm or other long-term disaster. Create a budget for emergencies and shop smart to save big on duplicate items you’ll need. Get tech-savvy: True, you may not be able to connect to the Internet during a disaster, but your computer or smartphone can actually help. USAA has a great list of apps for situations like this, such as a CPR instruction app and a flashlight app. You can also sign up for weather text alerts, plus you can back-up files and insurance documents on your computer via sites like Dropbox and Google Drive. Invest in a shelter: If you’re one of the six percent of the population living in a high-risk area, you should especially consider a shelter or safe house. Even if you don’t, now might be a good time to take the extra precaution, as some counties offer rebates up to $3,000. Do some research and see if you qualify before you decide. Have your insurance in order: Are you covered for a fire? How about a flood? An earthquake? You don’t want to wait until you file a claim to see if your insurance will pay for your loss. USAA, Allstate and State Farm are among the most popular and highest-rated by customers for homeowner’s insurance, so it might be wise to check them out. Know the facts: You probably know you shouldn’t drive during a tornado or wait out a hurricane, but what about other disasters? Knowing the steps for preparation and recovery can save you money and possibly your life. USAA is also a great resource for doing research on this. Don’t let disaster catch you unawares; it’s better to hope for the best, but plan for the worse. If there’s one thing I’ve learned, it’s that when you trust your intuition and do your research, you’ll be prepared when the storm hits.